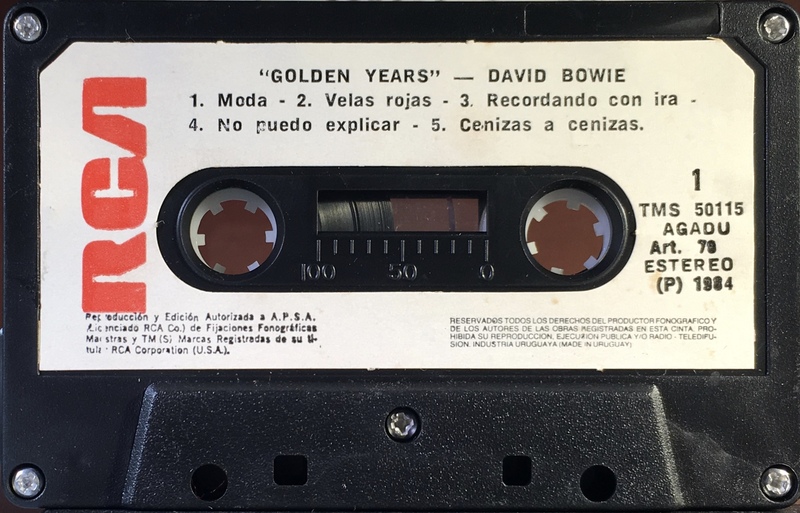 Años De Oro: Uruguay; RCA, TMS-50115; 1983. Full picture cover with black spine, rear and inner panels. The cover picture has been superimposed upon the background so that the RCA logo in the top right is partially obscured. 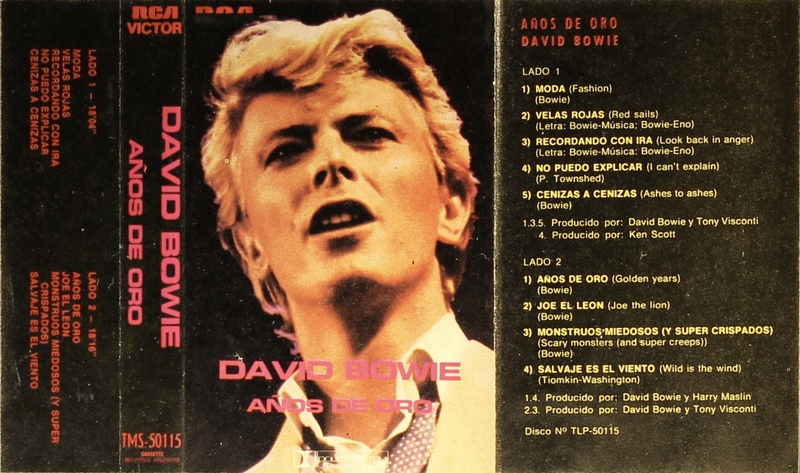 Track list on rear and inner panels, titles in Spanish only on rear and both Spanish then English on the inner panel. The cover is treated and folded paper and the rear is blank. Information in Spanish. At thievery bottom of the spine are the words ‘Industria Argentina’. Black ink printed onto white label with solid red RCA on black shell, AGADU rights. All titles and text in Spanish. Side 1: Moda (Fashion); Velas rojas (Red Sails); Recordando con ira Look Back In Anger); No puedo explicar (I Can’t Explain); Cenizas a cenizas (Ashes To ashes). 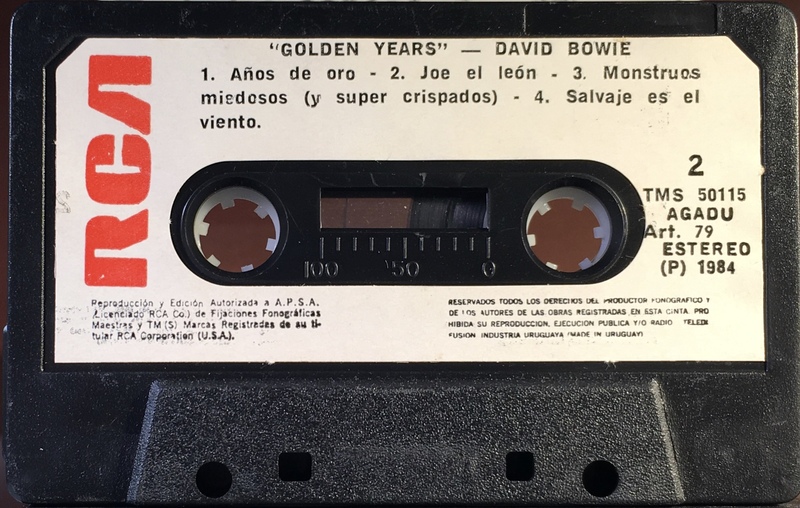 Side 2: Años de oro (Golden Years); Joe el león (Joe The Lion); Monstruos miedosos (y super crispados) (Scary Monsters (and super creeps)); Salvaje es el viento (Wild Is The Wind).